The new rule in kitchen design is that there are no rules! 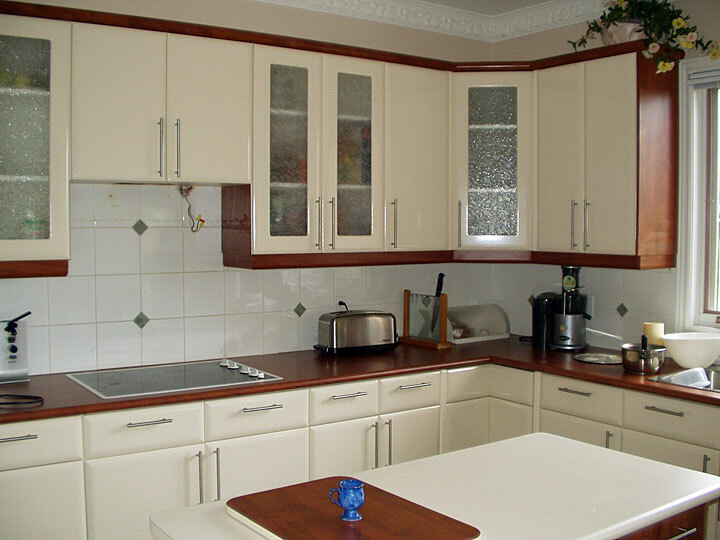 This two-toned kitchen stands alone by adding new doors, wood styled crown moulding, valances and end panels framing the creamy coloured pillow doors. The clients came back at the end of the day and were completely bowled over by the change! To top it off, the clients saved thousands of dollars and the kitchen came with a warranty.